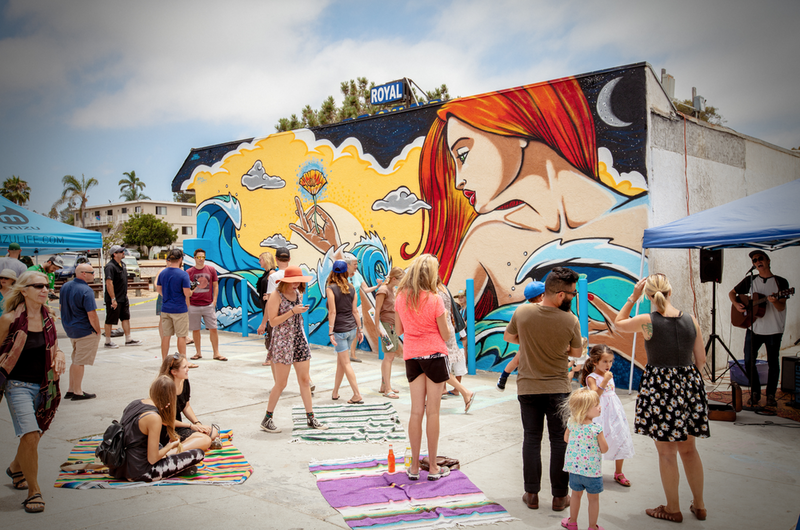 Paintencinitas.org chose me to create the first mural in their mural program in North County, San Diego back in 2014. 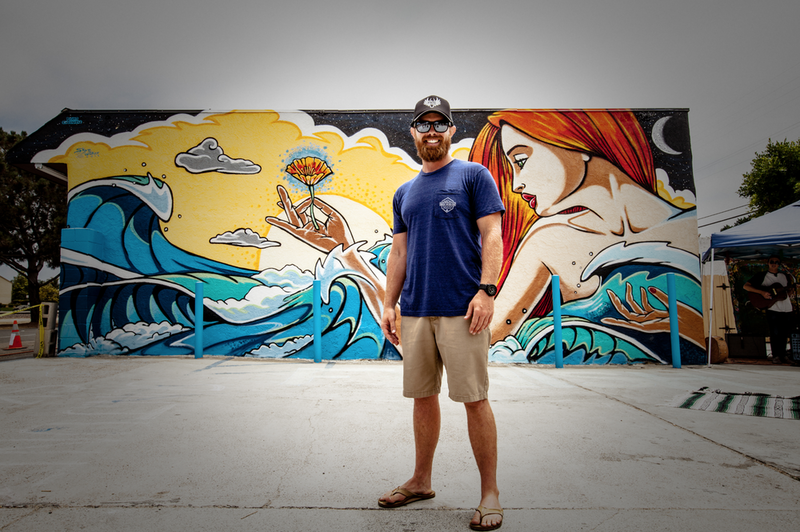 This was the result of a lot of hard work and time invested to bring this mural to life thanks to Jax Meyers. The result, a dressed up wall and a stoked community! Once again, the woman represents mother nature and her connection to our beautiful state of California as she looks out over the sea and reflects upon the Golden Poppy in her hand, the state flower of California. Thanks to @pthulst for some of the photos!